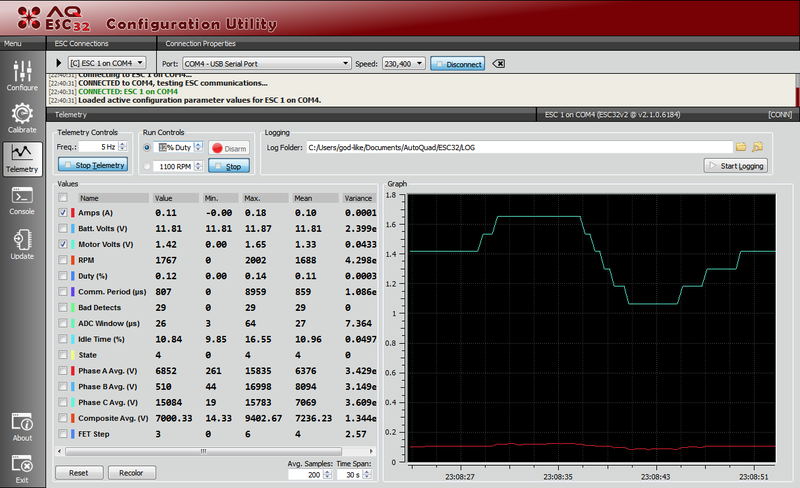 Up to 10S and 1500 watts of power with good cooling has been acheived in bench tests. Active freewheeling increases the response, stability and efficiency of your craft by actively braking the rotor during deceleration and converting the rotors kinetic energy to electricity. Real time current limiting eliminates the need for current limiter calibration and provides a user settable safeguard against overload. Improved starting procedure makes it plug and play with most motors. Start voltages and currents can be tweaked to improve starting further. A new drive method secures ultra fast speed transitions without loosing sync, both during acceleration under power and during deceleration under active freewheeling. Improved failsafe support on AutoQuad with CAN; if a motor is disarmed or stopped in flight, the controller will try to rearm and restart the motor. 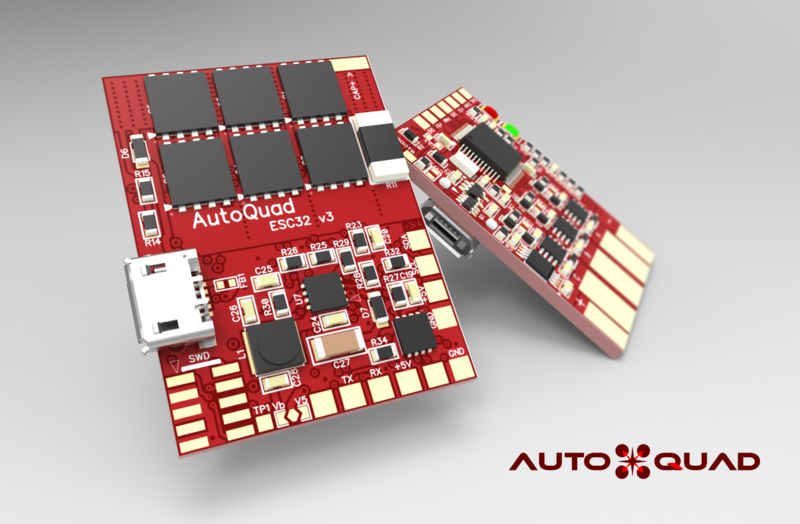 Live telemetry is available over CAN in AutoQuad Systems – Displays for instance Power, RPM and Temperature in the ground control. Improved Buck converter supply circuit for the logic means that its safe to supply the logic side from the main battery. The following pages show you how to connect and set up your ESC32v3. This page was created on 11-Aug-15 by jussi. Last modified on 18-Oct-15 by kinderkram.